Tegan has completed a Bachelor of Arts majoring in Psychology and English, and a Graduate Diploma in Education (Secondary). Tegan has seven years of experience providing assessment and counselling to children, adolescents and adults across a variety of settings including community services, crisis support, private practice, school counselling (both primary and high schools) and case management in a domestic violence service. Tegan's approach to therapy is warm, empathic and non-judgemental. She values a strong therapeutic relationship as one of the key components to building trust and creating positive change for her clients. 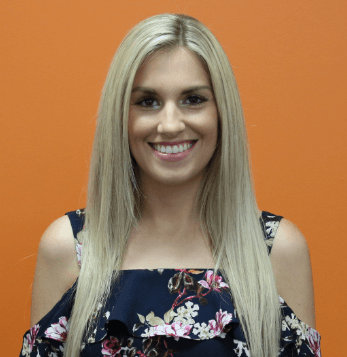 Tegan has a passion for working with clients to help them overcome obstacles, learn effective ways of coping and lead happier and more fulfilling lives. Tegan's areas of interest include mood disorders (depression, bipolar disorder), anxiety disorders (including social anxiety, phobias and panic disorder), adjustment to change, stress management, PTSD/complex trauma, grief and loss, self-esteem issues and self-harm/suicide ideation. When providing treatment, Tegan uses a client-centred approach and tailors the intervention to suit the client's presenting issues, personal style and their preferences. Tegan draws from a range of evidence-based therapies including Cognitive Behavioural Therapy (CBT), Acceptance and Commitment Therapy (ACT), Interpersonal Therapy (IPT), Solution-Focused Therapy (SFT), Play Therapy, relaxation and stress management techniques and expressive therapies. Whether working with children, adolescents or adults, Tegan works from a strengths-based framework, assisting clients to identify and utilise their existing strengths to create positive changes in their lives. Tegan is gentle, respectful and encouraging in her approach, and allows a safe, calming space for clients to express and work through their emotions, thoughts and experiences.